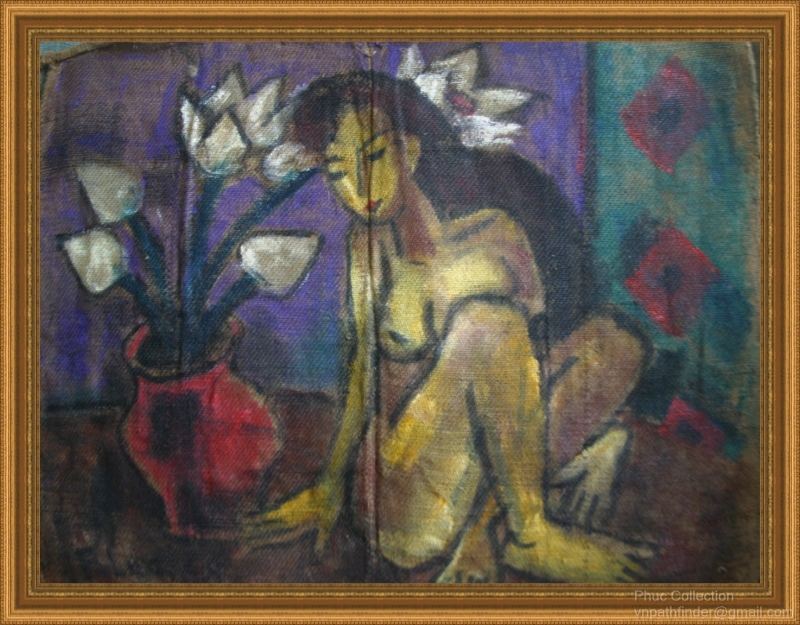 I received an email yesterday from a certain Mr Phuc (of Vietnam Pathfinder Travel) in Hà Nội which read: "I found your website and contact at Crowded World and would like to sell some paintings of Pham Luc Artists in my collection (at attached files). Pham Luc artist live in Hanoi, Vietnam. 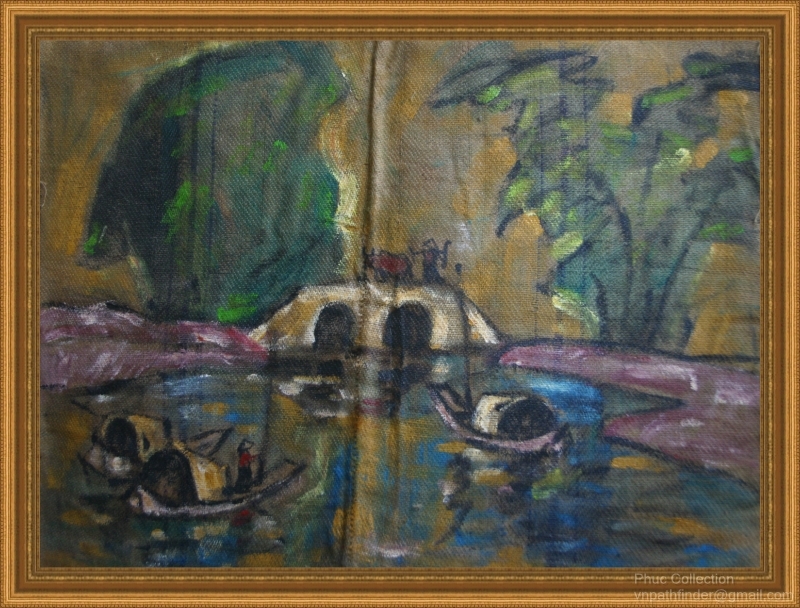 He is around 70years old now and some of my paintings bought from him that was painted during Vietnam war time (60-70)." 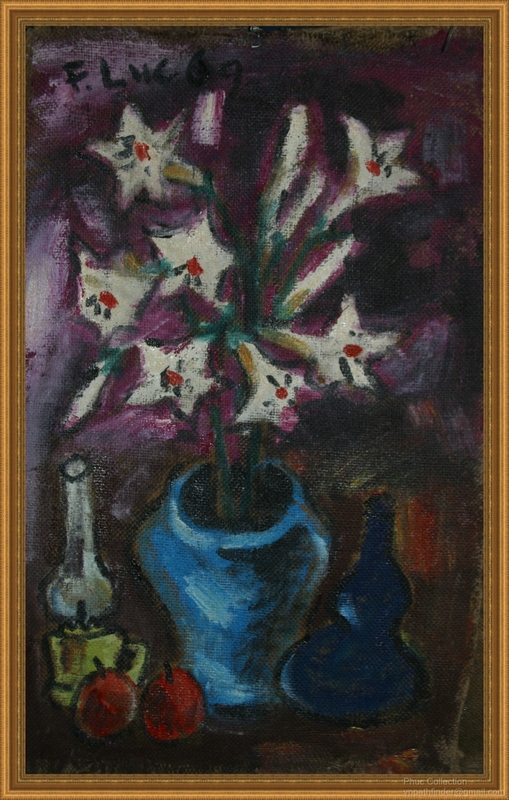 The picture above is a still life, one of the literally thousands of paintings Phạm Lực has produced over the years. If you are in Hà Nội and have the chance, you can visit the artist at his home, and perhaps even have your portrait painted by him. He has become something of a celebrity in the northern art scene, something of a living legend. Ambassadors from other countries own his works. The landscape above has something of a pastoral dimension. As with the two other paintings featured on this page, it is available from Vietnam Pathfinder Travel in Hà Nội. If you represent an artist or gallery in Vietnam and would like to promote your works on this site, please let me know. Leave a comment below, contact me on Facebook or Soundcloud or YouTube or Quora or Twitter or whatever, or just send me an email. I am always keen to make new friends!